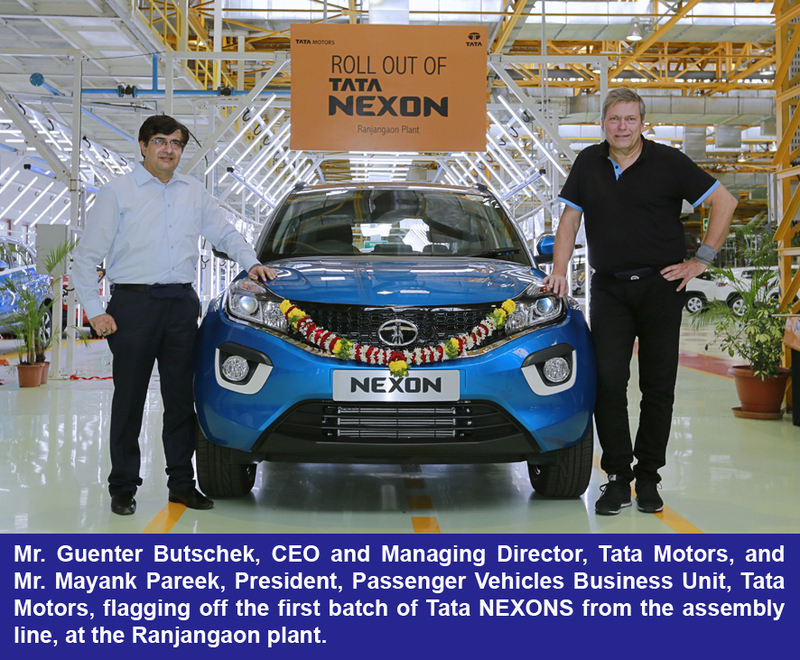 Tata Motors flagged-off the first batch of its much awaited SUV, the Tata NEXON from its Ranjangaon facility. The NEXON is the company’s fourth car in the new generation of passenger vehicles under the IMPACT design philosophy, targeting a new segment altogether. It is a Sporty SUV with extremely contemporary styling engineered to deliver excellence with dynamic handling , sporty performance, smart connectivity and comfort along with advanced safety features. Powered by a pair of Brand new Powertrains – 1.2L Turbocharged Petrol engine from the Revotron Series and the 1.5L Diesel engine from the Revotorq family, paired with a 6-Speed Gearbox, this dynamic new SUV will offer an unrivalled package of fuel efficiency, performance, and style. Tata Motors will soon be despatching the cars to the dealerships across the country in a phased manner and customers will soon be able to get up, close and personal with this all new SUV. The Tata NEXON is slated for launch during this festive season.